Binder covers and spine labels to help you get organized! 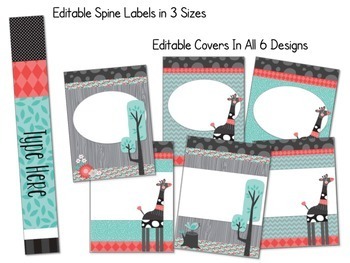 These binder covers have an adorable giraffe theme and include both preprinted and editable versions. 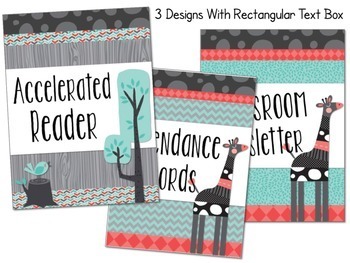 There are 6 different binder cover/divider designs and spine labels in 3 sizes. Want even more? 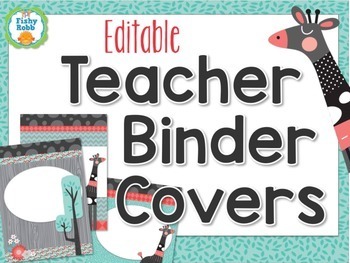 See my Super Teacher Binder that includes this set of binder covers plus all the forms, lists, calendars, and more you need to organize your year!